Pocket pets are a perfect option for people who want a pet outside of the typical cat or dog. Rabbits are a great pet that can offer years of companionship and company. Rabbits have very specific care requirements and require time and attention. The staff at Sheehy Animal Hospital in Livonia has comprised a list of the best care practices for keeping pet rabbits. There are a few options when selecting where your rabbit will be housed. Some people choose to allow their rabbit to have free reign of a room in the house, while others limit the rabbits living area. It is always important to make sure the room is appropriately rabbit-proofed; remove any low hanging wires your rabbit can chew on and protect your baseboards with plastic guards. Rabbits can also live in a dog kennel or specialized rabbit hutch. Just be sure when selecting a cage that your rabbit has plenty of room to hop around. Your rabbit's diet will consist mostly of hay. Young rabbits should also be given alfalfa and timothy hay to stay healthy. Be sure to have plenty of hay available in your rabbit's house. Furthermore, your rabbit's diet should be supplemented with vegetables. Adult rabbits can also be given limited quantities of fiber-rich pellets. Your rabbit should always have a supply of fresh water that is replaced daily. Your Livonia veterinarian will be able to help you find a diet that works for your pet. Rabbits are social animals and require exercise. At a minimum, your rabbit should be let out of his or her cage for an hour a day to enjoy a hop around the house or dedicated room. Be sure to spend time with your rabbit. Your rabbit enjoys your company so make sure when you are in the same room as your rabbit during play time. Rabbits also enjoy enrichment toys and chews. Cardboard toys and homes can provide mental stimulation and prevent an otherwise bored rabbit from chewing on exposed corners and furniture. Because rabbits typically like to use one area as a bathroom, encourage the behavior by providing a litter box. A small to medium sized litter box with a low enough entrance for your rabbit to get in will provide the perfect bathroom station. Be sure to cover the bottom with recycled newspaper for a rabbit-safe litter. It is important to keep hay out of the litter box. Rabbits often have a difficult time distinguishing droppings from the hay and will eat both together. Talk to your veterinarian at your Livonia animal hospital if you are struggling with finding a proper litter box for your rabbit. If you are looking for a Livonia veterinarian to help care for your rabbit, Sheehy Animal Hospital is the right choice for you. 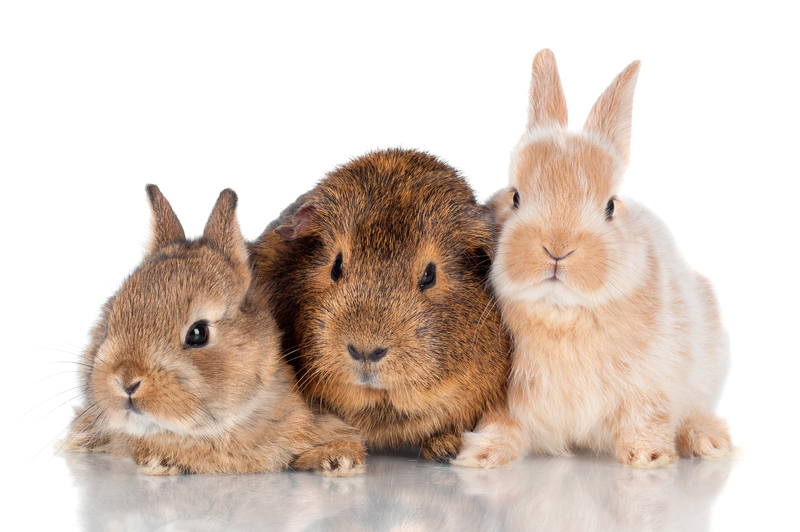 Our Livonia Animal Hospital is well versed in treating small exotic animals like rabbits. We are conveniently located at 18790 Middlebelt Rd, Livonia, MI, 48152. To schedule an appointment, call our office at 248-206-3030 today.